HLS Linen Services was formed in 1974 in Ottawa, Ontario, by six area hospitals looking to reorganize their laundry operations. Rocco Romeo, the company’s current CEO, give an account of the company’s origins: “Back in that era, every individual hospital had its own on-premise laundry. An on-premise laundry is both capital-intensive and extremely labor-intensive. There’s also a lot of real estate that’s being taken up at each hospital. So the hospitals said, in a cooperative venture, ‘Why don’t we set up a co-op organization that handles all of the linen and laundry requirements for us, collectively?’” In this way, the hospitals reasoned that they could reap savings in labor, capital, and equipment costs, as well as in utility expenses, by using more efficient, centralized equipment. 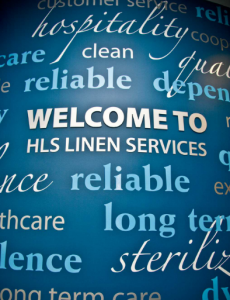 In addition to supplying its healthcare customers with the cleanest and safest linens available, HLS also offers significant cost savings to its many client hospitals, nursing homes, and acute care facilities. “The whole point of a co-op facility is it’s another area of savings. You’re centralizing and you’re standardizing your product mix, so that a bath towel that’s used today at one hospital might be used the next day at another hospital. There are efficiencies to be gained from that.” In addition, the fact that HLS owns its own linens (except for its hospitality clients) saves its customers from having to constantly buy and replace material; with a rental service, a customer has no capital outlays or replacement costs – it only pays a certain, fixed amount. Another way that HLS saves its customers’ money can be found in the efficiency of its state-of-the-art laundry equipment, which allows the it to use a fraction of the energy normally consumed by an on-premise laundry. 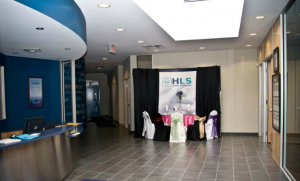 Lastly, HLS combines its water treatment and softening systems in order to reduce the use of chemicals in the wash process, cutting costs and increasing textile life. The company is also eager to expand its territorial spread as well as its market penetration. “There are still a lot of opportunities,” suggests Romeo. “The U.S., for example, presents a potential growth market that we haven’t really addressed, specifically. But our location here in Ottawa is 45 minutes from Ogdensburg, NY, two hours from Watertown NY, and three hours from Syracuse, and right now, we are servicing some U.S. customers. It’s never been a market that we’ve specifically gone after, but it definitely represents an opportunity. 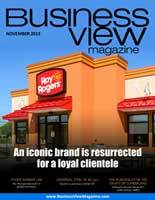 There are other markets emerging, and we’re going to look at them, as well.” Romeo notes that the company reaches out to prospective clients via trade shows, cold calls, and word of mouth within various trade associations to which it belongs.